Discover a place frozen in time when you visit Mackinac Island. A town where the streets are filled with horse drawn carriages and bicycles, as automobiles have been prohibited since 1898. You'll enjoy walking the streets of downtown filled with shops, and restaurants. Don't forget to visit the island's namesake (Fort Mackinac), a 18th century British and American military outpost. 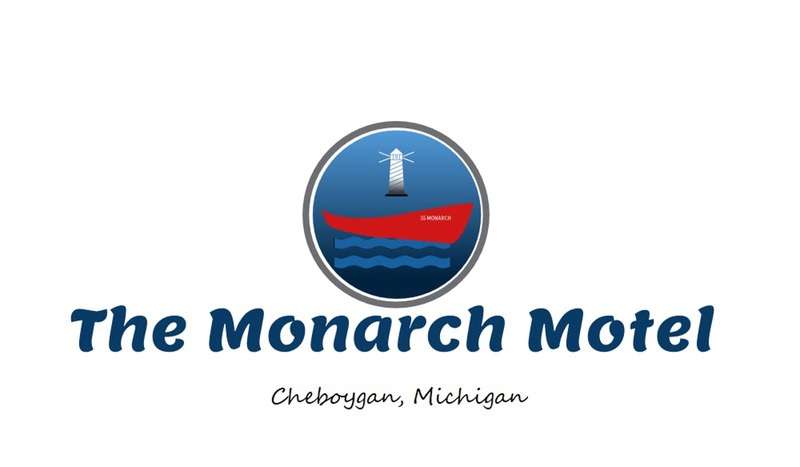 The Monarch Motel is only 15 minutes from the ferry to Mackinac Island. The Mackinac Bridge is a suspension bridge spanning the Straits of Mackinaw to connect the Upper and Lower Peninsulas of Michigan. Opened in 1957, the 26,372-foot-long bridge (familiarly known as "Big Mac" and "Mighty Mac") is the world's 19th longest main span and the longest suspension bridge between anchorages in the Western Hemisphere. The Mackinac Bridge is part of Interstate 75. The Cheboygan River Front Range lighthouse is open to the public from 8am to 5pm on Saturdays, Sundays, and holidays from Memorial Day weekend through Labor Day weekend. GLLKA took ownership of the 1880 lighthouse through the National Historic Lighthouse Preservation Act in June 2004, and will undertake the restoration of the station to its 1920 appearance over the next four years. As such, this represents a unique opportunity for lighthouse lovers to view the restoration in progress. For an entry fee of $5 for adults and $3 for children, visitors will be able to tour the lighthouse and learn of its rich history from volunteer GLLKA keepers. The lighthouse also features a gift shop stocked with a large assortment of Great Lakes lighthouse-related books, apparel, and gifts, with all proceeds to be applied directly to the restoration of the lighthouse. Arrangements can also be made to visit and enter the Cheboygan Crib Light with volunteers working at the lighthouse. Cheboygan State Park has a system of well-marked trails that provide access to scenic Lake Huron vistas and glimpses of rare wildflowers. A carry-in boat launch is located on Duncan Bay and fishing is available both on the bay and on Elliot Creek.